Stories like Yeramma’s reflect an alarming reality that is otherwise ignored. While other people her age were still asleep, Yeramma was already awake, laboring to wind threads of silk—something she would do for the next twelve hours. The silk mill owner provided her and her fellow child laborers food, the cost of which he would deduct from their meager pay. Worse, with every mistake, Yeramma and her fellow winders would suffer a beating and a flood of profanities from the owner. Yeramma’s story is only one of the heartbreaking depictions of bonded labor in South Asia, as told by the Human Rights Watch. The group revealed that over 10 million juvenile laborers are being robbed of their childhood, forced to endure the dirt, smoke, and stench of manual labor in order to pay off the debts their parents have incurred from their employers. More than a decade after the report, its jarring observations still hold up in many farms, mines, and sweatshops around the world. It is heart-breaking to see children living in such sorry situations, situations they did not choose for themselves. Fortunately, there is hope for these children. God demonstrated His transformative and liberating power by sending His Son Jesus in the flesh to unshackle scores of people from slavery to sin and make them His children, children who enjoy His unceasing love and boundless care. Today, God has entrusted Christians around the world, not just so-called missionaries and volunteers, with the task of sharing God’s love in word and deed. Many go to villages and slums, turning the people’s lives around by building bridges of hope—invisible but fortified structures that connect children and their families to God and His wonderful gifts of love, redemption, and liberation. Through sponsorship from kindhearted individuals overseas, children’s basic needs are provided for daily. More importantly, they are taught how to read and write, and come to understand God’s amazing love and the change it can bring to people who embrace it. Through the years, countless children have been saved from poverty and abuse through such initiatives. Through a steady stream of support for these projects, millions of other children will find their way to hope and freedom. 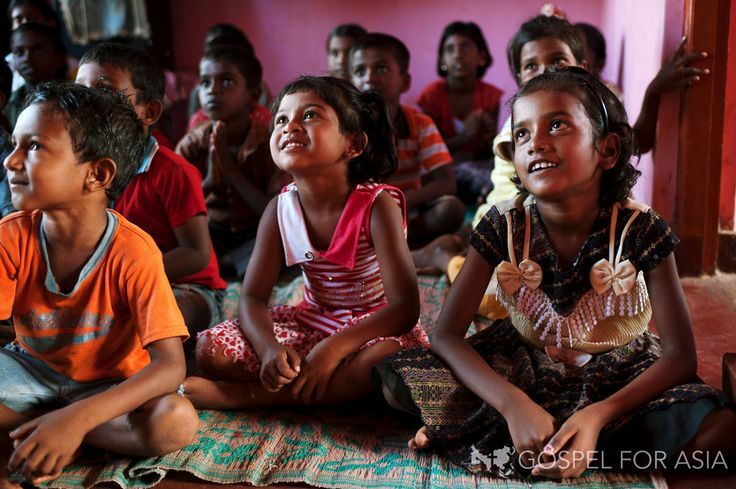 Gospel for Asia provides opportunities for transforming the lives of children in South Asia. With programs like Bridge of Hope, the mission gives thousands of children the opportunity to learn Jesus’ love, a love which has touched and freed millions of people over the centuries. Visit this website to learn more about how you can help any of the group’s causes. This entry was posted in K.P. Yohannan and tagged Bridges of Hope, children in India, Dr. KP Yohannan, freedom from slavery, Gospel for Asia, KP Yohannan, poverty on April 17, 2015 by gfaseo.